Simpson Street Studios is a business specialising in Acoustic Music Recording in North East England. Founded by renowned folk musician producer Ian Stephenson in 2014, it has attracted such clients as Sony Pictures (2016 The Magnificent Seven Soundtrack), BBC Radio 4 (Playing the Skyline 2016), BBC Choir of the Year “Voices of Hope”, Kathryn Tickell, Alistair Anderson, Rachel Hamer and Luke Daniels among many others. It’s two premises allow the best of Urban and Rural locations. The Northumberland Studio Complex is a new partnership in association with Coquetdale Music Trust. It is a very large and flexible building housing a huge live room, a 200+ sqm space with floating floor, acoustic treatment and soundproofing. Underfloor heating throughout, two isolation booths (one with high vaulted ceiling) with sight-lines, and encompassing a kitchen and common room area. Natural light throughout. 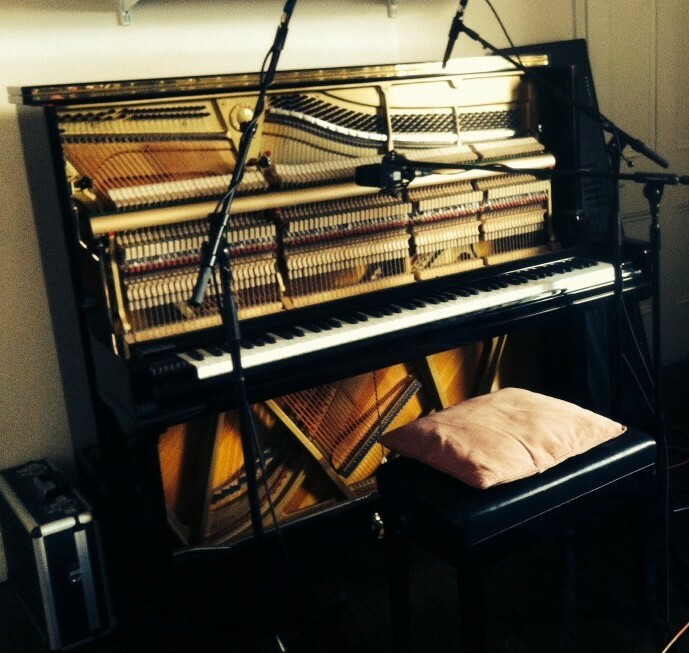 It also features a beautiful Yamaha C3 grand piano. Equipment varies depending on studio but both include a wide variety of quality microphones such as DPA, Neumann, Telefunken and Audix. The Gateshead production studio is perfect for small ensembles, mixing and mastering and other post production. Only 20 minutes from Newcastle Central Station and easily accessible by regular bus services, it is ideal for work where speed, quality and convenience are desirable. 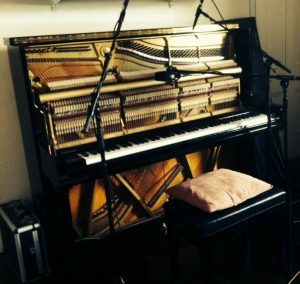 It features a Yamaha U3 upright piano. 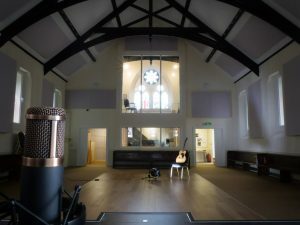 Most of Simpson Street Studios’ previous work was recorded, mixed and mastered here – a one-room studio with a breakout space for vocals.